Trash Mash-Up (TMU) will host workshops with CircEsteem in Chicago, IL on March 25 and 27, 2013. 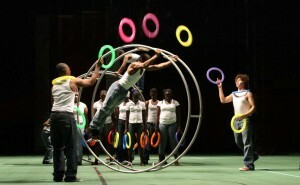 These workshops are a part of the CircEsteem’s HomeWork & CircusWork and Chicago Youth Circus programs. CircEsteem’s Program Director, Suzanne Santos is a member of Trash Mash-Up Advisory Board. Since 2001, CircEsteem’s mission has been to unite youth from diverse racial, cultural, and economic backgrounds and help them build self-esteem and mutual respect through the practice of circus arts.